If you’re interested in nature and religion, this is a one-in-a-lifetime experience that you shouldn’t miss out. 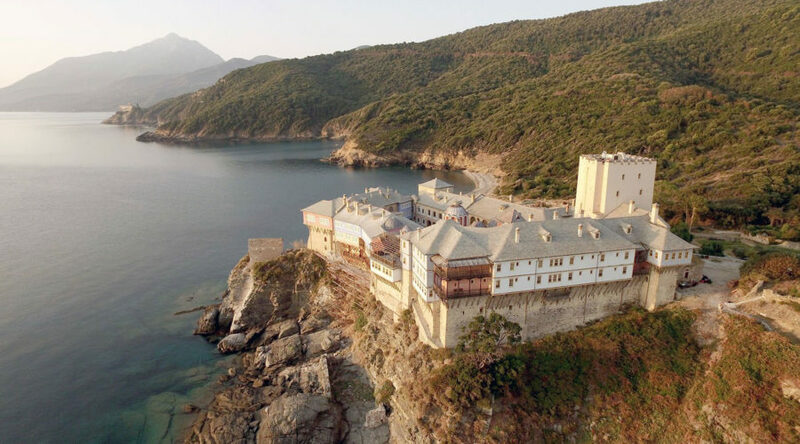 Mount Athos is the spiritual capital of the Orthodox Christian world and it houses 20 monasteries. Enjoy a comfortable cruise of three hours. We’ll be cruising 500m from land, and we are able to study the monasteries of Mount Athos from Ouranoupolis to Dafni. Docheiariou monastery is the first monastery we see as we’re leaving Ouranoupolis. It is one of the most stunning monasteries on Mount Athos and it is also called the monastery of Archangels. 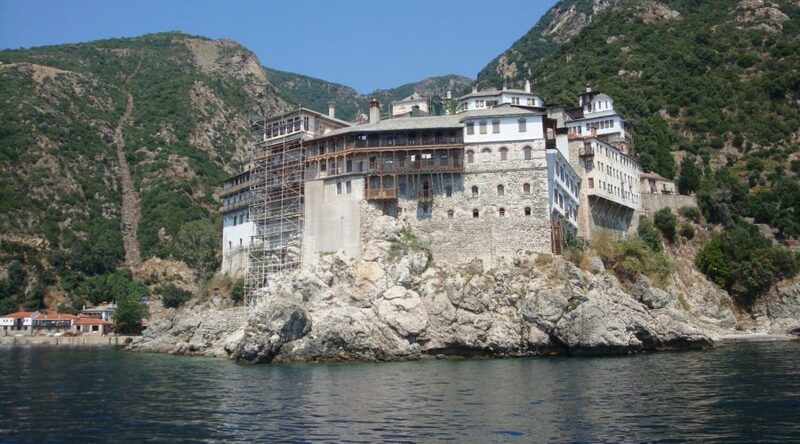 The second biggest monastery seen from the coast is named Xenophontos Monastery. Its buildings are truly impressive as it is majestic Katholicon. After the reconstruction of the monastery in 18th century, the re-constructed Katholicon is today the largest of all the Katholica at Mount Athos. 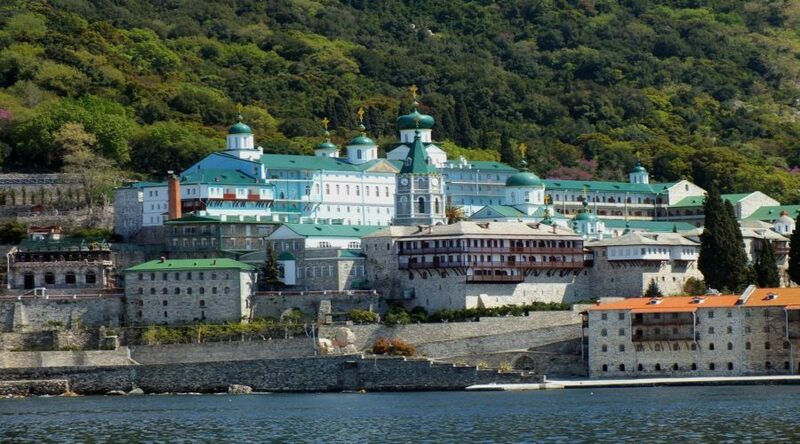 We then cruise around the largest of the monasteries on the peninsula, the Saint Panteleimon Monastery, which is a Russian Orthodox monastery. 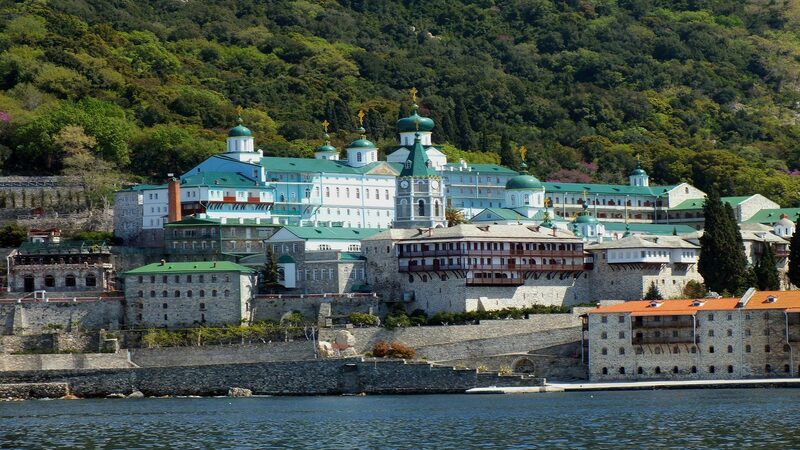 The monastery resembles the architecture of a minor town with its multiple buildings and numerous domes. 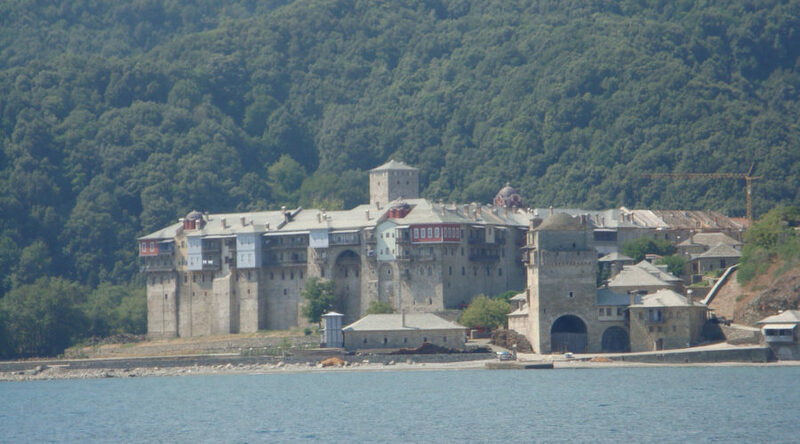 The next monastery is called Xeropotamou Monastery and it is one of the oldest monasteries on Mount Athos. It treasures a piece of the True Cross, the largest in Athos. 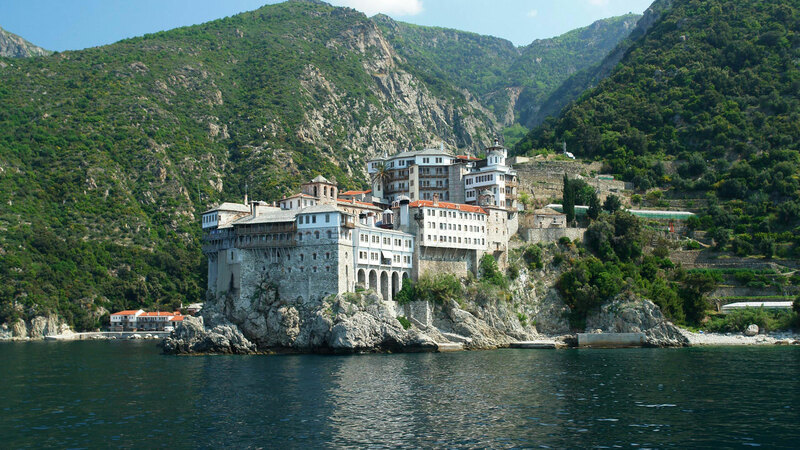 Our cruise ends with four smaller monasteries, Simonopetra, Monastery Osiou Gregoriou, Dionysiou Monastery and the Skete of Saint Anne. During the itinerary we provide binoculars and special lenses; everything you need to carefully observe the beautiful peninsula.